“I have made a discovery in Lightning physics that revealed the very centerpiece of our worlds. 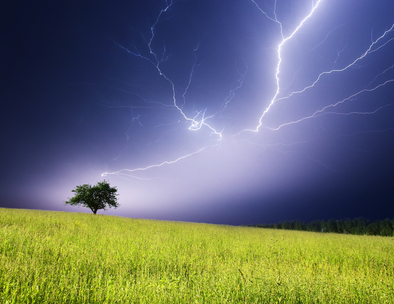 Since the beginning of time, lightning effect on hydrogen has been producing anti-hydrogen. One form of this is a Gamma ray producer 12 ft. ringed sphere, Relativistic Perturbation (Mantle). “For 4.5 billion years… lightning in Earth’s atmosphere has been producing this self-contained sphere utilizing rings of Carbon, Liquid oxygen surrounding a sphere of fused negative energy (anti-hydrogen fusion). Mantle’s release comes in the form of Sprites above storms. Mantle produced the atmosphere Ionosphere and anti-protons produces dark matter around Earth’s Ionosphere. “Mantle, for short produces Gamma rays found by NASA’s FERMI satellite during Sprite production. PAMELA satellite found the antiprotons around the Van Allen belt produced by Mantle’s discharge energy that follows the magnetic field lines from Earth. “Mantle’s discovery will lend efforts to light speed “Warp” travel, wormhole production and dimension technology. The release of charged liquid Oxygen is converting to Air/water for the atmosphere and electrons for the Ionosphere. “It produces force fields and an endless supply of highly charged Liquid Oxygen to repair the earth with. This will supply us with clean energy any place on earth or space.